A paint and sip is exactly what it sounds like—you and your friends, brushes in hand, allowing your creativity to flow freely on a blank canvas with a wine glass not far from arm’s reach. At Canvas Junkies in Reno, NV, their painting classes are taught by a trained educator who knows how to provide instruction on the art of painting, all while allowing you to chat freely with those around you and sip on a beverage from the bar. 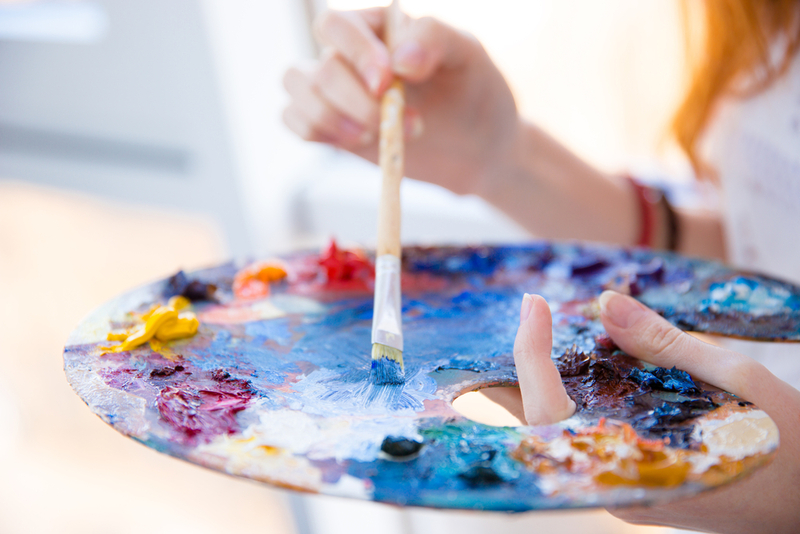 Find Your Creative Outlet: While you don’t have to be creative to enjoy a paint-and-sip class, it still allows participants to exercise their abstract thinking skills and maybe even discover that there’s some talent behind those brush strokes. Whether you want to take a class alone or organize an outing with fellow aspiring artists, paint and sip at Canvas Junkies is a warm, welcoming environment to hone your craft. Spend Time With Friends & Family: Rather than spending another night around the television, Canvas Junkies invites you into their wine and painting studio to chat, have fun, and enjoy a few drinks. They offer regular painting classes, and they’re also a popular destination for date nights, birthday parties, and a girls’ night out. Unwind From a Day at Work: Paint-and-sip classes give you a new destination to kick back a few after-drink works with your colleagues. Canvas Junkies has a full bar, stocked with red and white wine, liquor for cocktails, and beer. They’re a great alternative to your neighborhood bar when you want to do more than sit around a table chatting. If you’ve got even the slightest desire to learn how to paint and sip drinks with your friends, then you won’t find a more welcoming place to do so than Canvas Junkies in Reno. To learn more about their facilities, call (775) 221-7576, or visit their website.